Food and Drink Festival time! 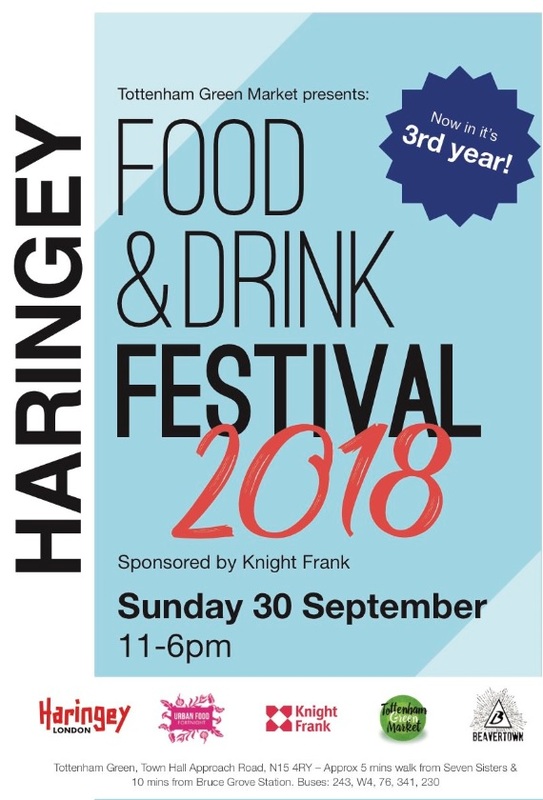 The third Haringey Food and Drink Festival takes place on Sunday 30 September, 11am-6pm on Tottenham Green. It is a free, family friendly festival with live music for Haringey. Around 45 local growers, produce, street food, bakers, artisan, local breweries, gin makers and more will be there. This is your chance to meet the makers! There will also be a live stage, rides, kids zone, bouncy castle, face painting, workshops and magic.